The Powhite Parkway opened to traffic on January 24, 1973 and continues to be maintained by the RMTA. It was the first section of the RMTA Expressway System to be completed. 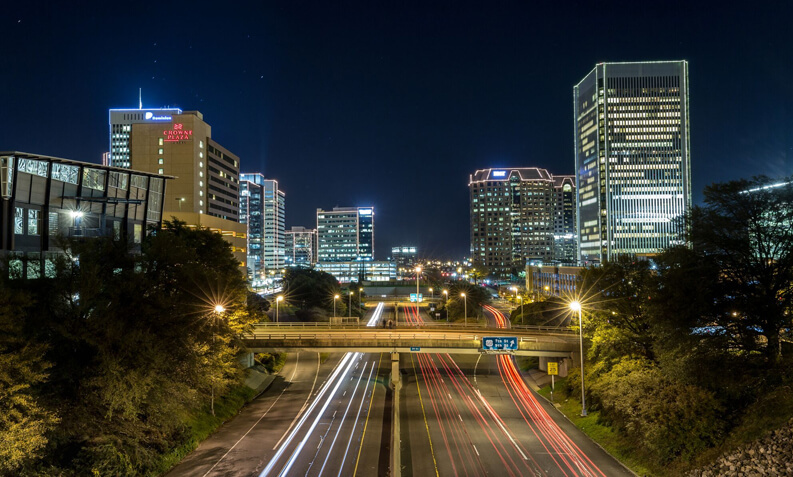 The parkway covers 3.4 miles between Chippenham Parkway and the Cary Street ramps, and includes the .4-mile-long Powhite Bridge crossing the James River. In September 1975, the Powhite Parkway Toll Plaza was widened to accommodate increased traffic. It was widened again in November 1988. At the same time, the Powhite Bridge was widened, and a new northbound on-ramp was built at the Forest Hill interchange. Also in November 1988, VDOT opened the Powhite Extension which connects the RMTA’s Powhite Parkway to western Chesterfield County. In 1992, the Powhite Parkway was widened from three to four lanes northbound between Chippenham Parkway and the toll plaza. The number of lanes north of the bridge to Cary Street was increased from four to six. The Powhite Parkway Toll Plaza has a total of 20 lanes, 14 physical lanes, and 6 Open Road Tolling Lanes (three in each direction). The Forest Hill interchange has a total of eight lanes to its on- and off-ramps to Powhite Parkway. The Douglasdale ramps north of the river have two unmanned lanes connected to the parkway. Most recently, the Powhite Parkway underwent an extensive construction project to widen the northbound and southbound lanes. Today the Powhite Parkway is one of the most heavily-traveled corridors in the Richmond metropolitan area. 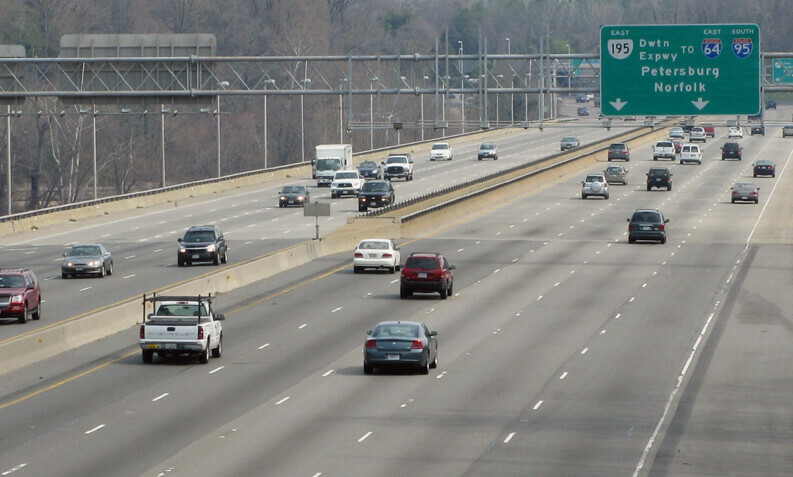 Nearly 90,000 vehicles travel on the Powhite Parkway each day with that figure rising to more than 100,000 on peak days. The official pronunciation is “POW-hite,” in the same manner as you pronounce “Powhatan” and “Powder.” The name comes from the name of the creek that the parkway follows. References to the creek by this name have been found in records more than 300 years old, and the creek probably was named by Native Americans who were in the area long before colonial settlers arrived. The Downtown Expressway opened to traffic from Interstate 195 (near Byrd Park) eastward to 7th Street on Feb. 3, 1976. The northbound connections to the former Richmond-Petersburg Turnpike (I-95) opened in August 1976, and the southbound connections were completed on Sept. 1, 1977. In 1992, additional lanes were added to the 7th Street and 12th Street westbound on-ramps. At that time, the 11th Street on-ramp and Canal Street off-ramp were widened to two lanes each. The stretch from Meadow Street to the junction with I-95 is 2.5 miles long. 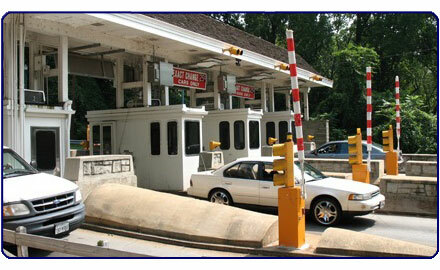 It contains a combination barrier toll plaza with 15 lanes including three, westbound Open Road Toll lanes. The Second Street ramps have two unmanned tolls. Beginning in March 1994, a toll collection attendant was stationed at the 11th Street and Canal Street ramps during peak traffic times. 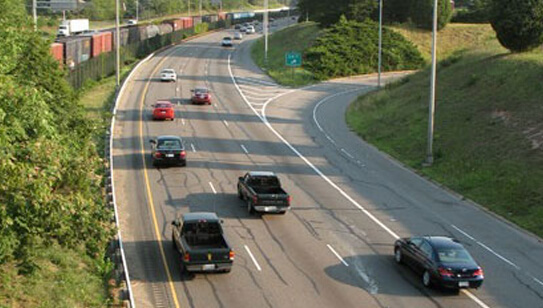 An average of approximately 54,000 vehicles utilize the Downtown Expressway each day. 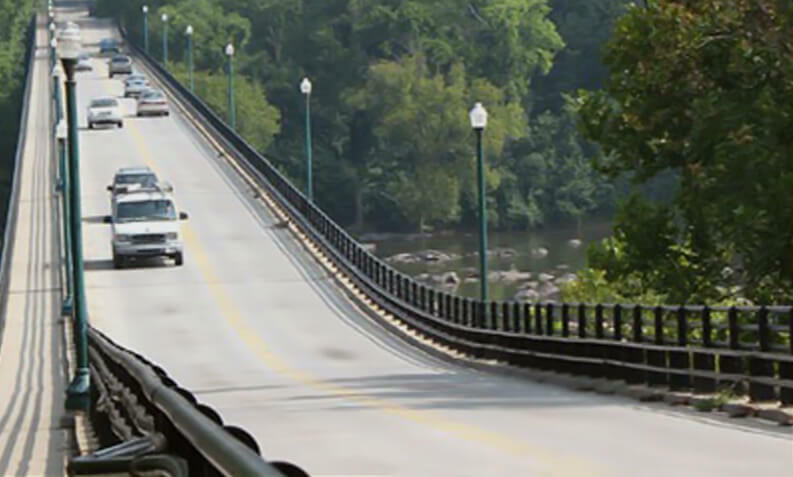 The Boulevard Bridge was built in 1925 by the Boulevard Bridge Corporation to make the Westover Hills residential community south of the James River more accessible for development. The RMTA purchased the 2,030-foot bridge on Nov. 24, 1969. The toll was a dime then and remained so until 1988, when it increased to 20 cents. Nearly 10 years later, the toll rate increased five cents to 25 cents. Currently, the toll is 35 cents. Many Richmonders still call the Boulevard Bridge “The Nickel Bridge” because of its initial five-cent toll. The steel-truss bridge was closed on August 17, 1992, for 18 months of renovation work. The renovation included replacing the concrete deck; widening the existing lanes on the bridge; and replacing the old toll building, booths, and equipment. 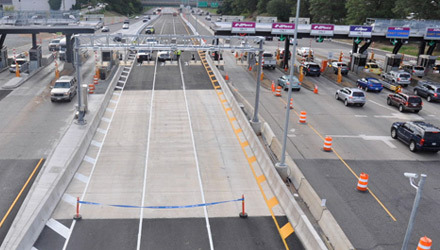 A new reversible toll lane was installed to handle peak traffic from either direction. The bridge reopened on October 30, 1993.